Hola! My name is Robert Pugh. There is nothing I love more than people plus capturing their authentic moments. I have been shooting images for the best part of my life, but I didn’t start to get more serious about photography until 2010 when I decided to start my own company and go freelance. I can still remember shooting my first wedding for a friend and getting the buzz to become a full time wedding photographer. I’ve covered assignments from the X-Factor to photographing the King of Qutar. I have a wide range of interests but they all centre around creating and communicating with people (I love to talk and some say I can talk for England). Im proud to be known as a Sony UK Ambassador. Award-winning Wedding photographer and Sony Ambassador, Robert Pugh, invites you to his 7th annual Wedding Photography Bootcamp. 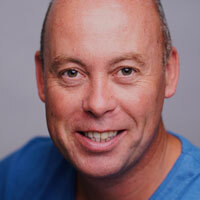 Robert will be walking us through a full day of tuition around the basics of wedding photography. This event takes place at Tullie House Musuem and Art Gallery in Carlisle and features models for a realistic wedding photography experience. See below for equipment information and full details.